With the massive influx of data from the internet of things, edge computing has emerged as a viable option for many organizations to process and store data closer to end users. Over the next year, here's the biggest edge data center trends we'll see, based on the predictions from three SearchDataCenter advisory board members. Edge computing and the internet of things (IoT) certainly hold a lot of promise for the future, especially for exploiting traditionally underutilized devices. It will also allow companies to get firsthand information about how their customers think and act. However, as a mainframe guy who works on the machine where most of the data ends up, I have a few concerns. What about data retention? Some devices, either because of their inherent nature or limited access to the internet, may not contact an enterprise for weeks, months or even years. How long should a company keep inactive customer records? How would an enterprise deal with a device the original owner sold? Will we be able to tell the difference between a new and an existing customer? Software distribution also becomes challenging. Many enterprises have difficulty distributing software across thousands of workstations in a homogenous environment. Edge computing, however, entails millions of devices at different hardware and software levels, used by people who may or may not want to make updates. Sure, some enterprises could force the issue by refusing to service old software, but when was the last time a company deliberately alienated its customers? My biggest concern is security. We're reaching an era in which some enterprises don't trust desktops tucked snugly behind firewalls inside of internal networks. My biggest concern is security. We're reaching an era in which some enterprises don't trust desktops tucked snugly behind firewalls inside of internal networks. How will these same companies protect themselves from applications running on disparate platforms with differing levels of vulnerability used by someone who may or may not understand security best practices? This problem is only exacerbated by users who deliberately bypass device security through methods like cracking. This type of danger isn't restricted to smart devices like phones and tablets. At best, a hacked smart refrigerator might order three dozen cartons of unwanted milk. The worst would be using the refrigerator's widget as a launch point for a distributed denial-of-service attack. I may be a little paranoid, but given human ingenuity, I think we'll see some spectacular, entirely unanticipated hacks in the next few years. We have liftoff to explore the digital universe where edge data centers will be a next step in our journey to 24/7 connectivity, which will rapidly expand over the coming five to eight years. The definition of an edge data center remains fluid for the moment. For instance, Google's search engine is the edge. Others will be further away, considering a second city as an edge data center. One of the challenges we will face is how to ensure that data remains stored in the region where data storage laws apply. Data will flow through peer-to-peer mobile connections, accommodated by edge centers, in and out regions and continents. We already observe a generation not being interested or worried about their data privacy in a world where cybercrime -- and especially stealing personal identities -- is only at its very beginning. In the future, cyber-physical systems will be required to protect this group by being able to recognize the single individual in between the billions of others and allow or block access. 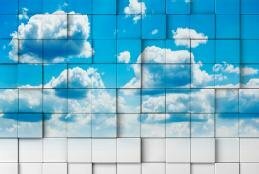 Businesses without a cloud computing service will probably fall behind in the industry. Edge computing as a way of dealing with the massive growth in data patterns driven by IoT is the only way to make IoT work. Take a small IoT device; it may only push out a small packet of data every minute or so, but if an organization has several tens of thousands of these, then that becomes a very chatty and bursty network. By putting intelligent data aggregators close to a collection of devices, this chatty data can be kept away from the main network. Instead, the data aggregator only sends through data that has identified as being of interest -- for example, where there has been a pattern recognized that could lead to an issue -- or it sends data back based on a request from the center. Such a hub and spoke architecture creates an intelligent IoT architecture that leaves the main data networks free to deal with user data. The other side of the coin is just the build-up of data volumes due to users themselves embracing greater digitization and different data types. Here, intelligent data caching through content distribution networks or intelligent reverse proxies can also help minimize data traffic across the main network by storing relatively static data closer to the user. This is how streaming service organizations such as Netflix, Amazon Prime Movie and more work. What are your predictions for edge computing in the next few years?